After many confusing trips to the food market, I decided to schedule a food market tour for the Johns Hopkins SAIS Gastronomica Club with Maribel Agullo, owner of Bologna-based Taste of Italy﻿. I wanted to learn how to navigate the food markets and feel a bit more like a food insider. The heart of Bologna’s traditional food markets lie in a series of lively Medieval side streets and small passageways, close to the center of the city on Via Pescherie Vecchie and Via Drapperie. On any given market day, it is bustling with Bolognese and sometimes, a few tourists who get a rare glimpse of everyday life in Italy. Balsamic vinegar is made from the juice of specific grapes (such as Trebbiano), and is fermented with other liquids and acids for several years. During this aging process, the vinegar is moved from one type of wooden barrel to another, to create special signature flavors for each balsamic vinegar. 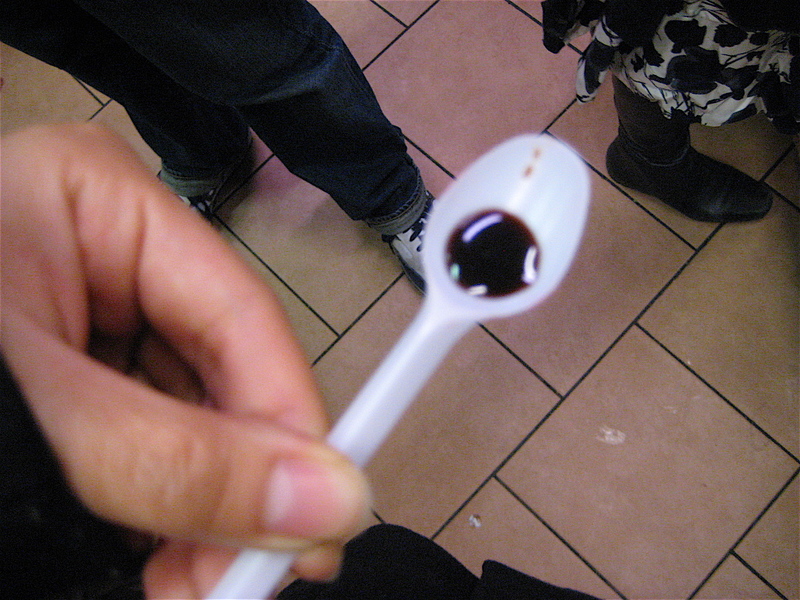 The end result is a thick black syrup that varies in sweetness and acidity. Balsamic vinegar can be used as salad dressing, in different sauces, and can also be used when cooking meat dishes, pasta or risotto. We had a balsamic vinegar tasting in another specialty shop, where we identified the difference between ten and twelve year old balsamic vinegars. 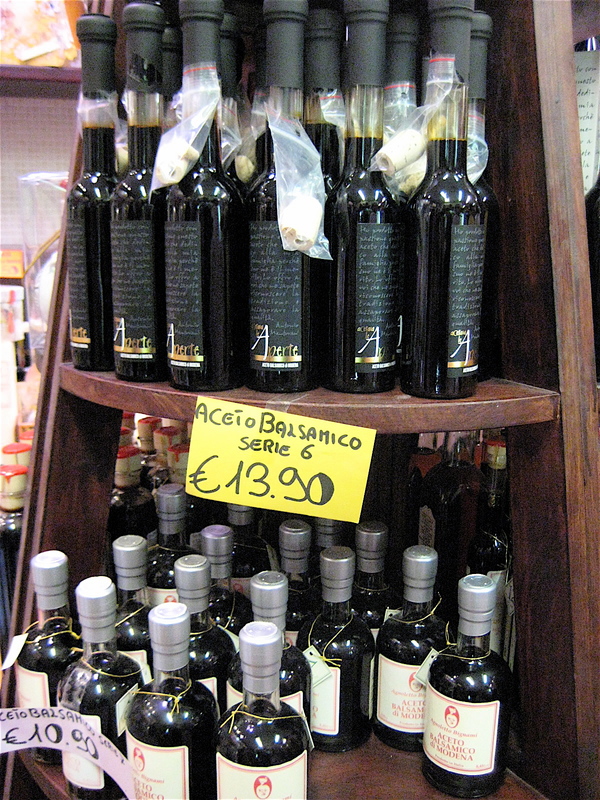 The younger balsamic vinegars were a bit sweeter, while the older generations become increasingly more acidic, before becoming sweeter again. 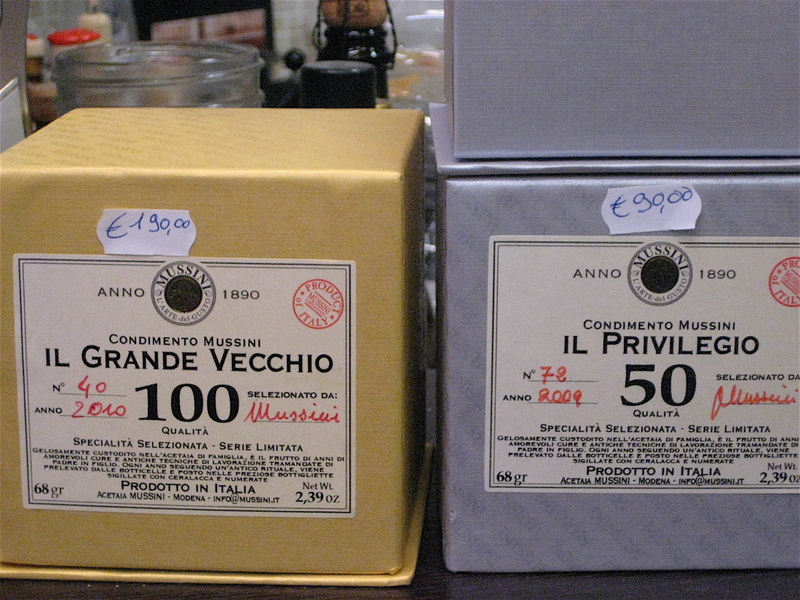 The store also carried expensive balsamic vinegar that had been aged for 50 and 100 years. One thing that I noticed and really appreciated about the vegetable stalls was that each vegetable had a sign that showed where it came from. This is not just the case with vegetables in the open food market, but in Italian supermarkets as well. 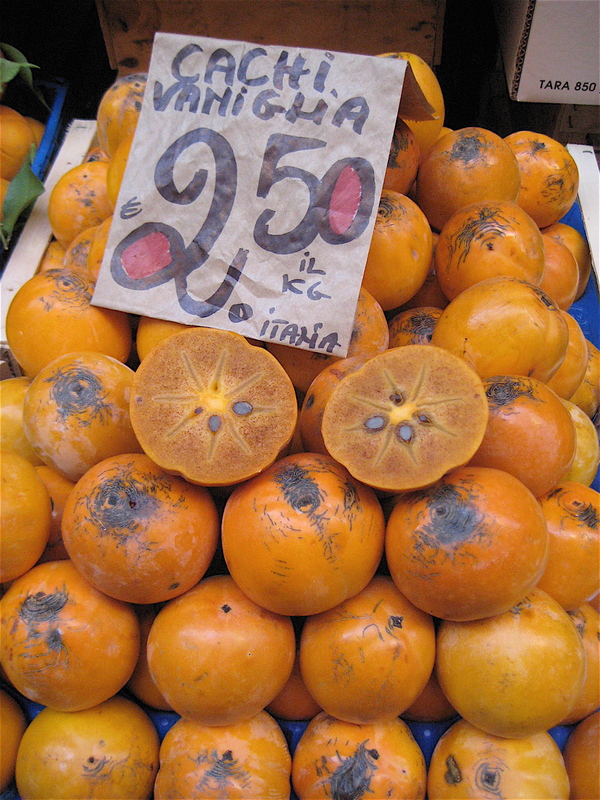 If the produce is from Italy, many signs will also show which region it is from. This is a true testament to the slow food movement, which promotes sustainable agriculture, regional food, and small-scale food producers. 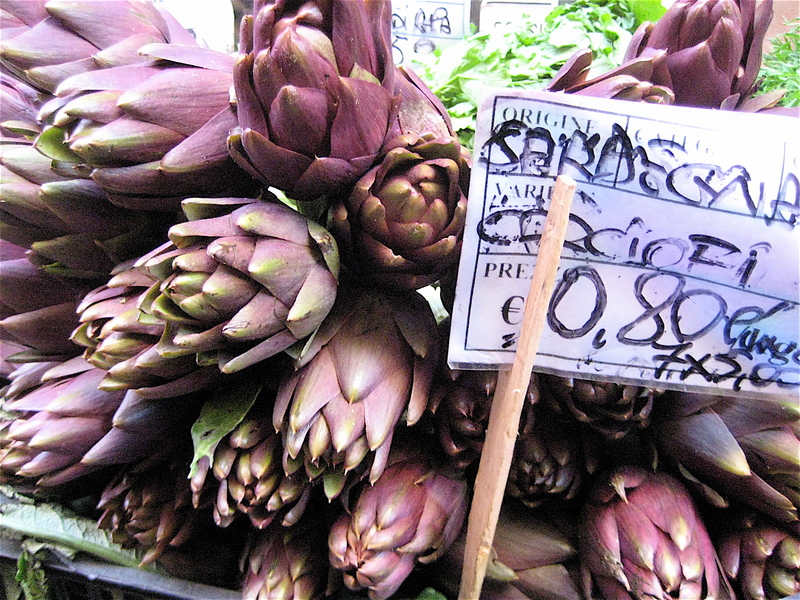 In addition, knowing where in Italy the produce comes from also indicates its particular taste. Knowing that the tomatoes you are buying come from Vesuvius (in Naples), means they will be sweeter and have less seeds, which might be just what you need for a pasta sauce. The highlight of the food market tour was our lesson on salumi and parmiggiano cheese at Simoni, one of Bologna’s premier salumi shops. Davide, the son of the owner of Simoni, explained in detail how prosciutto, mortadella, and parmiggiano is made. This is a special family business that has been passed down for generations. Davide started out as a journalist, but then switched careers to follow in the footsteps of his predecessors. Now he is an expert on all things salumi and cheese. I wanted to learn about the different types of salumi, how it’s made, and how to decide which cuts to buy. Davide clarified everything for us. Davide showed us a standard leg of prosciutto, before it is cut. There are subtle regional flavor differences in prosciutto, based on the environment where the pigs are raised, which then influences the pigs’ diet. 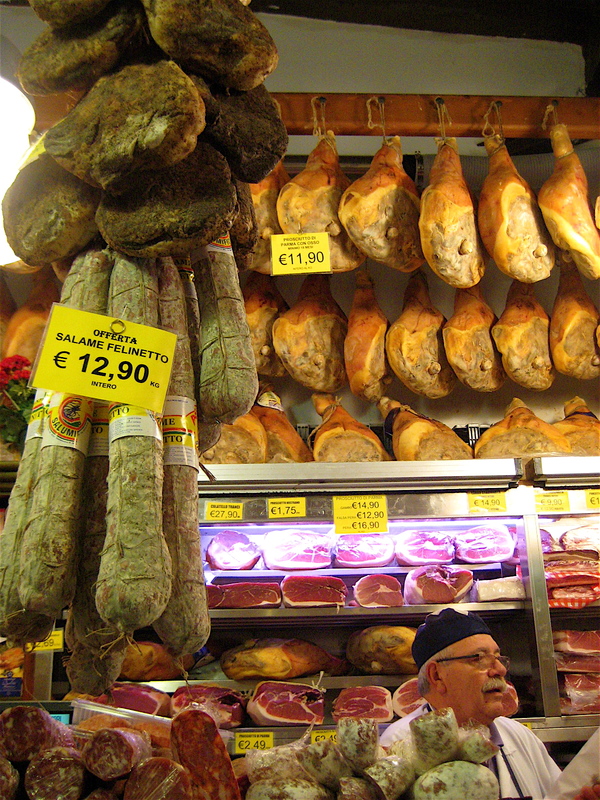 The main prosciutto-producing city in the Emilia-Romagna region is Parma. 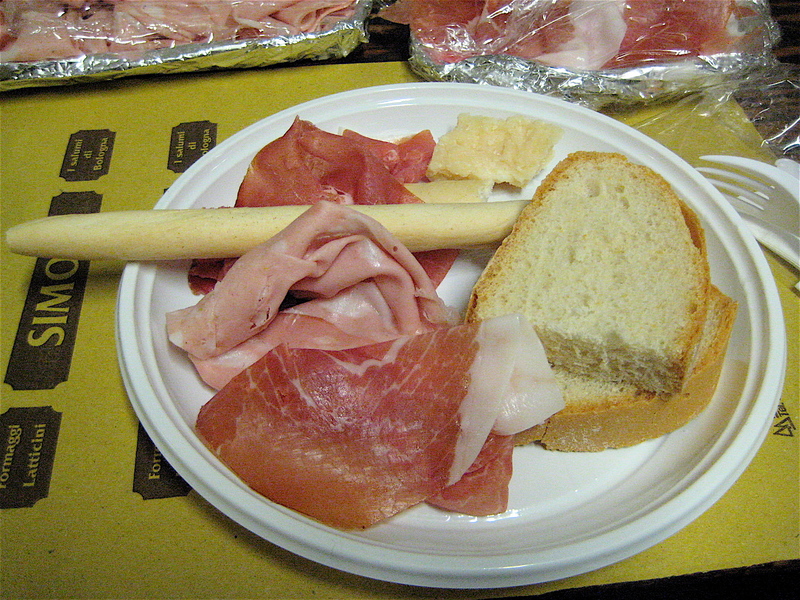 Like many other traditional foods in Italy, there are cooperatives that make prosciutto following strict procedural, ingredient, and branding guidelines. If the quality of the meat isn’t good enough to be prosciutto crudo, it is then designated for other uses, or made into prosciutto cotto (boiled prosciutto, much like the American version of ham). You can select what portion of the leg you would like your sliced prosciutto from– one side is for pairing with cantaloupes or figs, another is for sandwiches, cooking, or use as a pizza topping. For more information on how prosciutto is made, visit the Food Explainer entry for prosciutto crudo. Davide also introduced us to culatello. Culatello is made from the highest quality portion of the prosciutto leg. It is cut from the center of the leg, above the bone. It is made like prosciutto, undergoing both curing and aging processes. The rest of the prosciutto leg is then used to make other products, such as sausage. 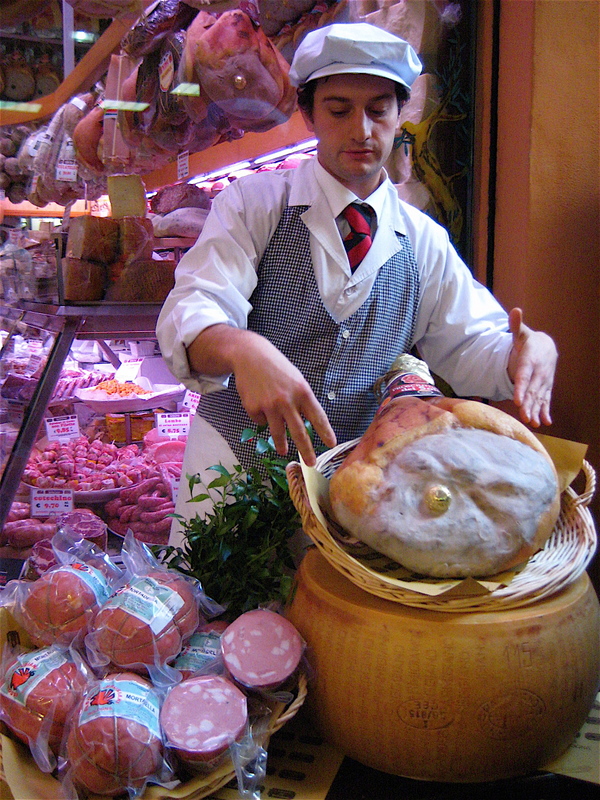 The salumi that originated in Bologna is mortadella. 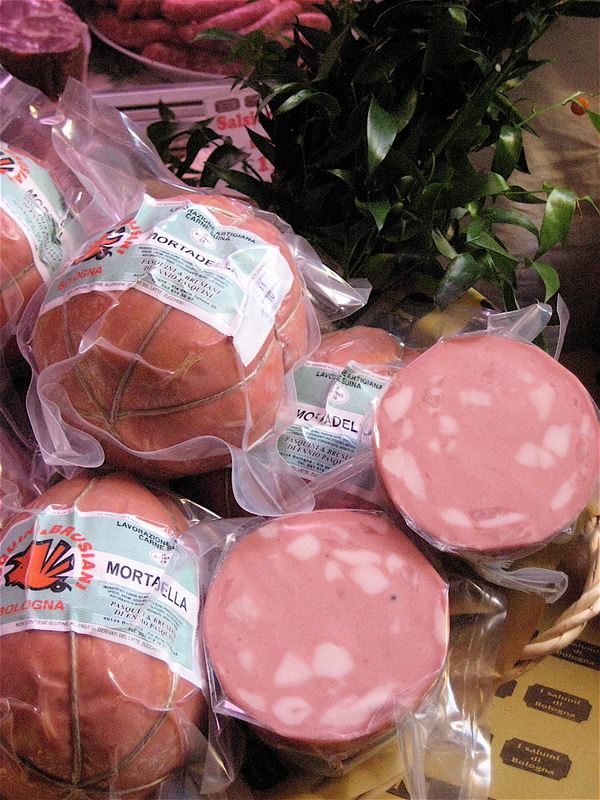 Made from extremely finely chopped cuts of pork, mortadella has been around since the Middle Ages, when it was more expensive than most other meats due to the intense labor involved in making it. Without the machines we have today, chopping all the pieces of pork so finely required a mortar and pestle, much time and effort. Davide pulled out a lap top to show us a video of his apprenticeship at one of the most traditional, small-scale mortadella factories in Italy. Mortadella is made specifically from pork shoulder and fat from the pig’s throat (the white cubes you see in the photo below), which is the only portion of fat that doesn’t melt in the cooking process. When discussing American bologna, Davide couldn’t imagine what Americans might put in it. “Maybe even cow meat!” he said in disgust… oh, if he only knew. Davide also gives us a lesson on how Parmigiano-Reggiano (made in Parma, city in the Emilia-Romagna region). He showed us a gigantic wheel of cheese, which is branded with the number of the exact plant it came from, length of aging, production date, and number of the dairy. A wheel of cheese can only be bestowed the honor of being real Parmigiano if it passes an inspection at the twelve month mark, during which the inspector takes a tiny hammer to strike the surface of the wheel. 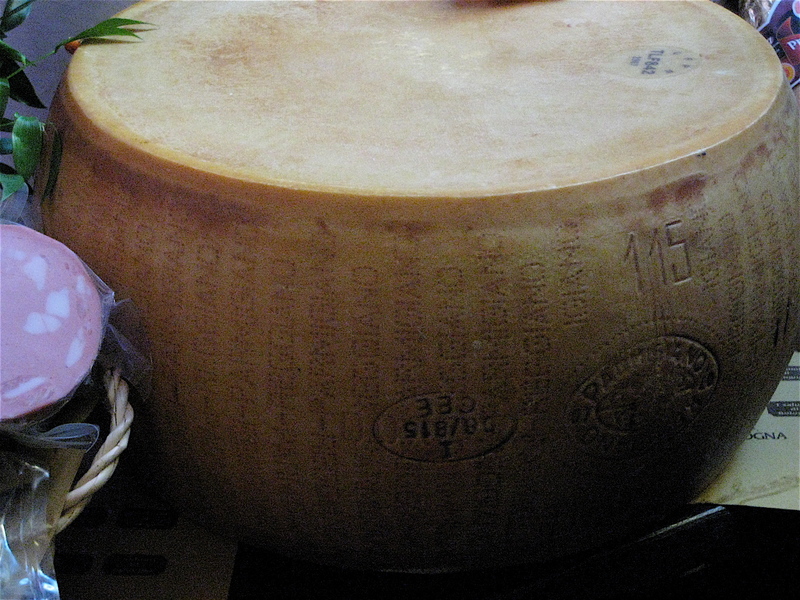 If he/she hears any signs of it being hollow, the cheese is not branded with the Parmigiano-Reggiano stamps, as a sign to the buyer that it is not true Parmigiano. We leave the salumerie with a sampling of different meats- prosciutto crudo, mortadella, culatello, and the most delicious parmigiano cheese! Maribel picked up some fresh Tuscan bread from a corner bakery, and we met at the Osteria del Sole, the oldest bar in Bologna, originating in the Middle Ages. It is a small space that allows customers to bring their own food to accompany the drinks ordered from the bar. 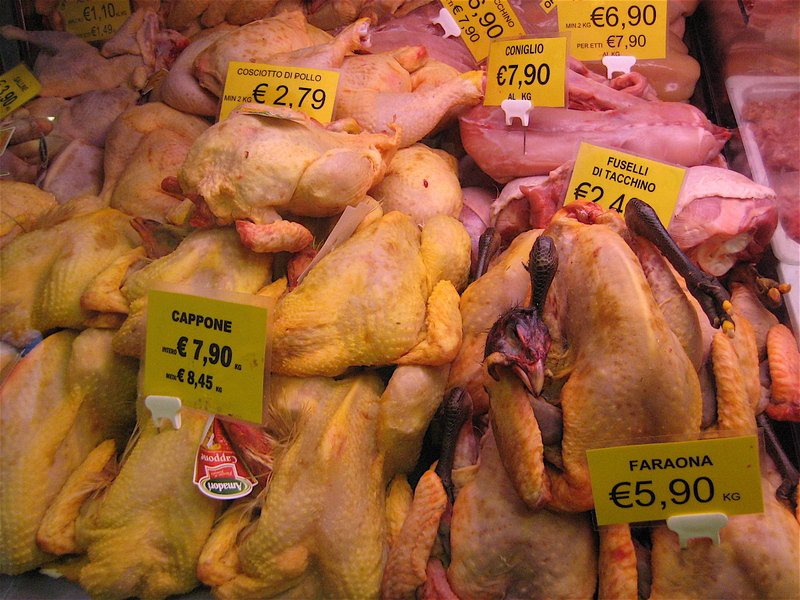 At the end of the day, I got answers to all of my questions about the food market in Bologna. The giant vegetable that looks like old, mutant celery? It is called Cardi and I now have a recipe for it, courtesy of my friend, Tanya (who got it from her news vendor, who got it from his wife)! 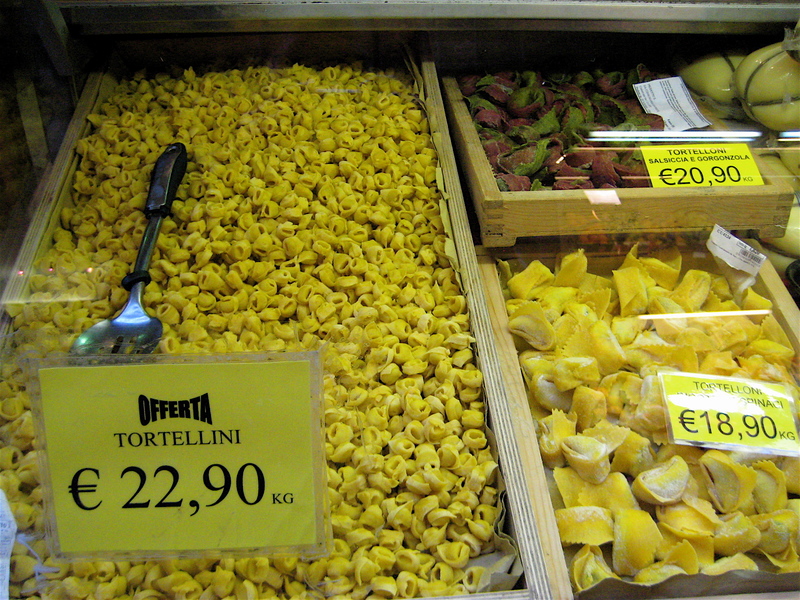 The difference between fresh tortellini on left and tortellini on right? 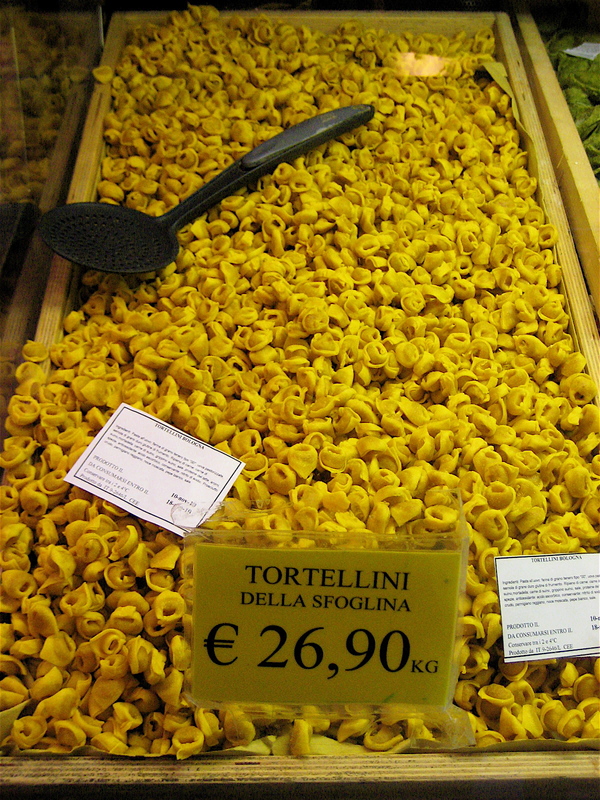 (besides price…) Tortellini on left is made by the small nimble fingers, while tortellini on the right is made by machines. Key words: della sfoglina. The amount of history and tradition found in these few streets in Bologna was something I had never experienced before. The bar where we sat for lunch that day was hundreds of years older than the country where I was born. Though the machinery has changed, the ingredients and processes, and food rituals haven’t. In fact, they are vigorously monitored so that these traditions aren’t lost. I guess there is no reason to mess with perfection! What a great post Pei! 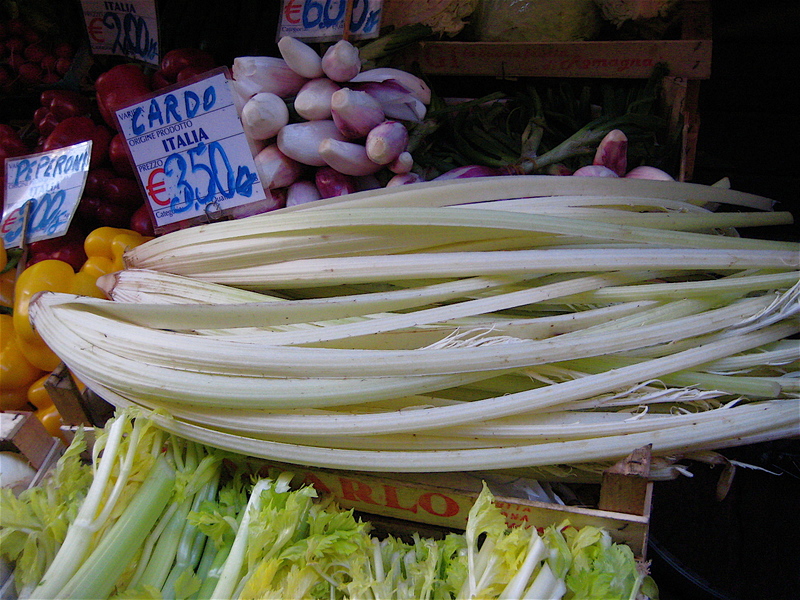 Lots of information and great photos – by the way, the cardo (singular) is a cousin of celery and is also known as Gobbo so try googling that in Italian and you’ll get a bunch of recipes. 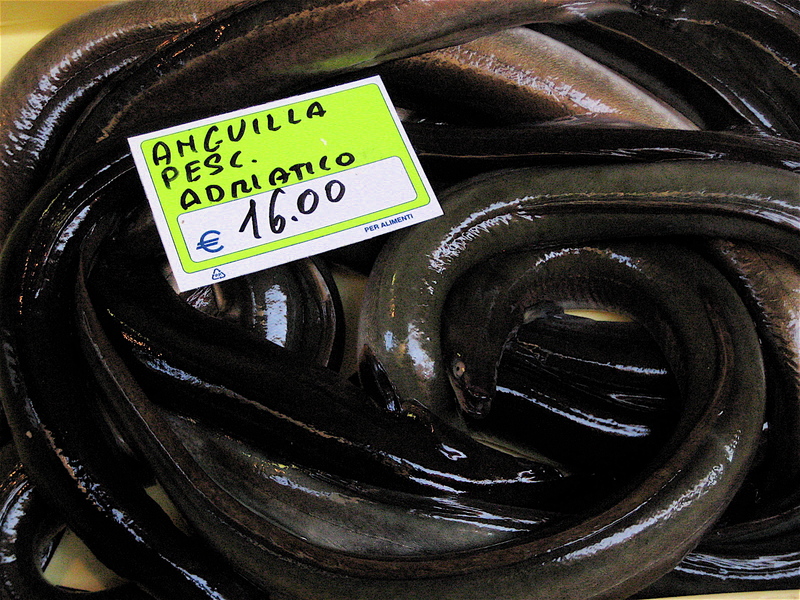 It is a fundamental ingredient in Piedmont’s famous Bagna Cauda. I want to do this tour! 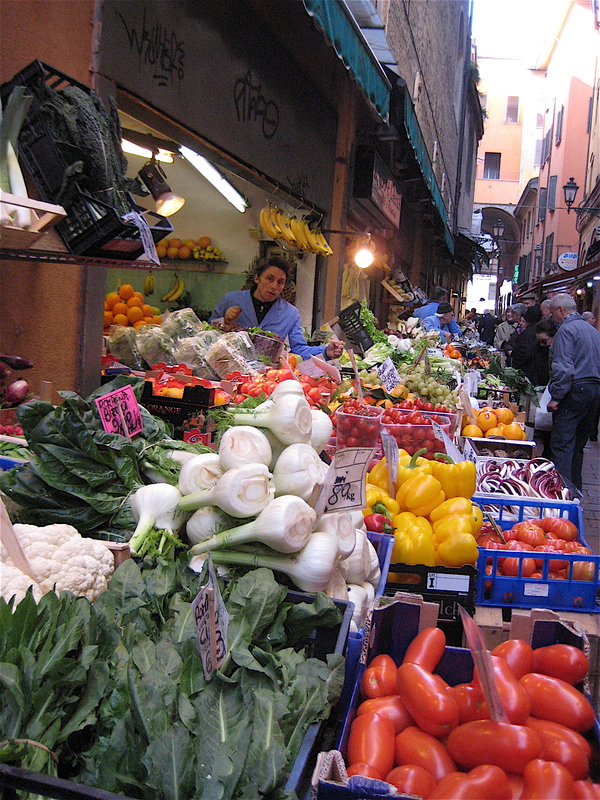 I’m thinking of going to Bologna by myself for a day only and all I want to do is walk around all the markets. I always love to read these food article about Bologna, Thank you for sharing our food traditions with the other readers. I love your pictures!